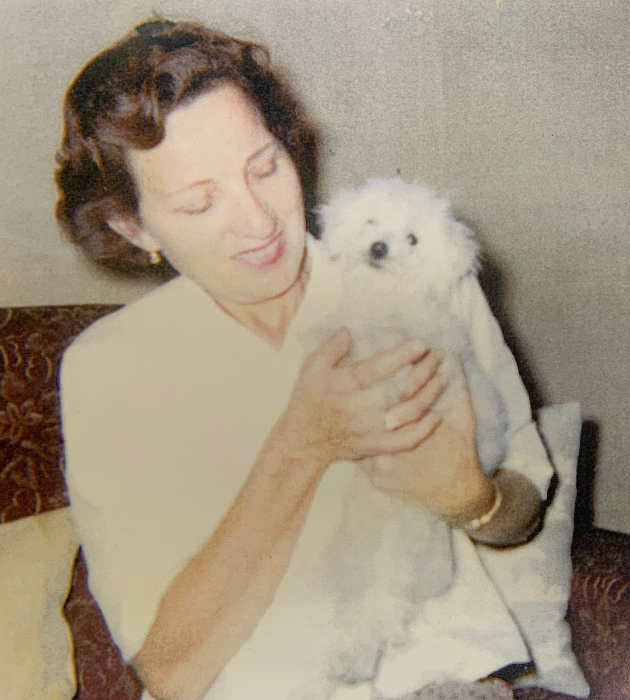 Mildred Trindall passed away Monday, March 25, 2019. She was born June 19, 1919 and moved to Idaho from Oregon in 1961. She worked for Orieda as a scaler for many years. She also was a volunteer for Head Start for over fifteen years and received a regional humanitarian award from the state while there. She was an excellent cook and housekeeper. 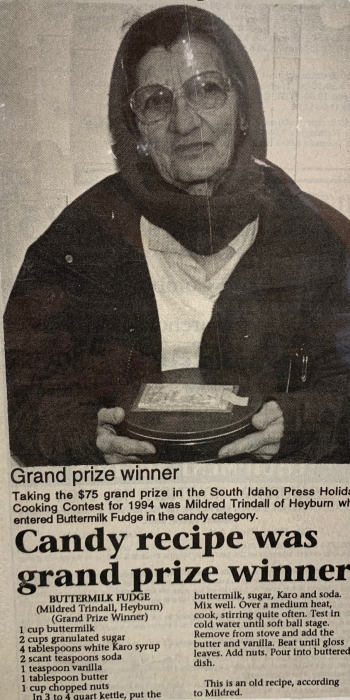 In 1994, she was a grand prize winner in the South Idaho Press Holiday Cooking Contest. She was a very friendly and easy-going person and she had many friends. She was also active in the First Christian Church. She was preceded in death by her parents, Joseph and Julia De Shirley, her sister Elizabeth Betty Glad and Jean McCarty, her brother Claud DeShirley, her son Dennis Murphy and her husband Ken Trindall. She is survived by her son Fred Joseph Murphy (Ising). In keeping with her wishes, no services will be held. Cremation arrangements are under the direction of Joel Heward Hansen Mortuary.